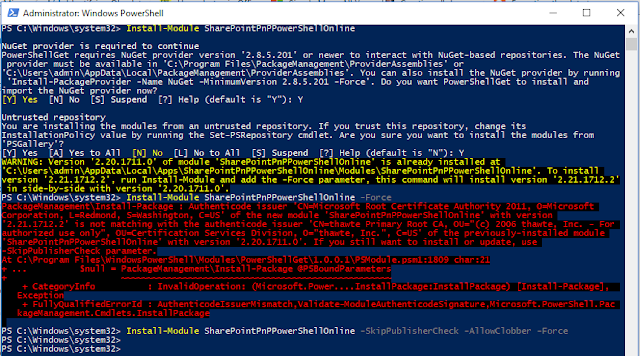 I am receiving the publisher check error when I try to install SharePoint Online PnP PowerShell module from PowerShell window using below command. 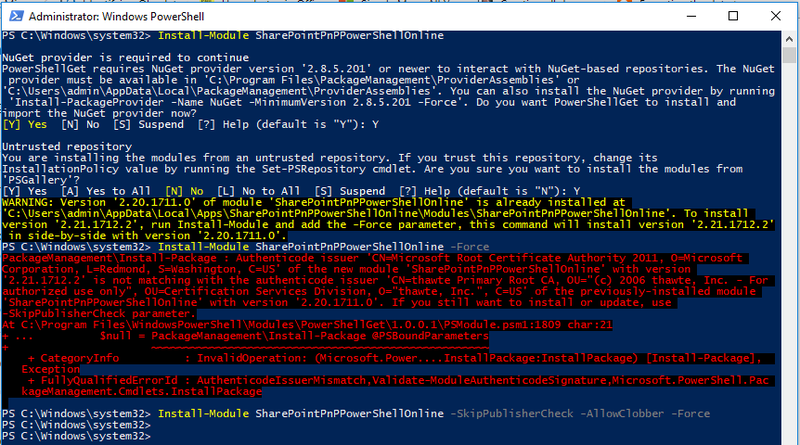 I have searched through Google and I see some people receiving the same error while update PnP PowerShell using the command "Update-Module SharePointPnPPowerShell*" and the cause of error is due to new signing certificates where used in latest setup. I have fixed this problem by setting the parameter SkipPublisherCheck as AllowClobber.